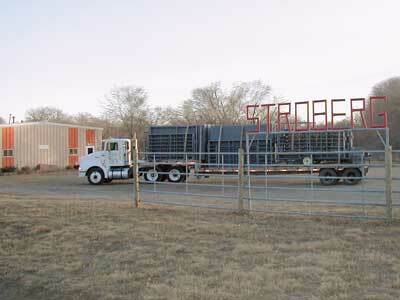 Stroberg Equipment Company began building cattle corrals back in 1954. Until this time the concept of a portable corral wasn't believed to be able to work or even considered to be an option. Dean Stroberg designed the Porta-Corral in his farm shop and this design has evolved into corrals that will last a lifetime and that have been passed from generation to generation. Today, Stroberg Equipment manufactures and sells a full line of livestock equipment. Dean Stroberg was deceased in 1997 but Stroberg Equipment continues to build quality equipment. Dean's son, Roger, is now at the helm of the business. Roger has been working full time with Stroberg Equipment for over 50 years.